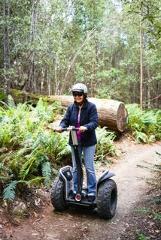 Spoil someone you love and make them experience Tasmania's most breathtaking adventure attraction! Glide across the treetops in this approx 2.5hr unique forest zipline tour, gaining a bird's-eye view of Tasmania's beautiful forests. Give the gift of adventure with a 2hr session on our Trees Adventure Ropes Course! 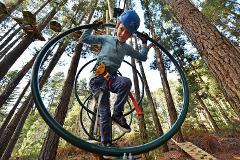 Climb through the pine tree forest on over 70 challenges including wooden bridges, nets, tunnels, tight ropes and more across 7 colour coded levels! 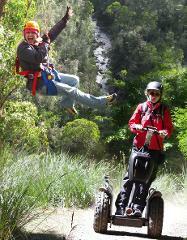 Spoil someone you love and make them experience Tasmania's most breathtaking adventure attraction! Glide across the treetops in this approx 2.5hr unique forest zipline tour, then check out the forest from below on the 1.5 hr Segway tour. 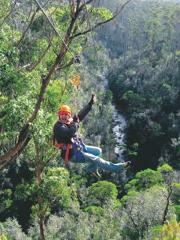 Spoil someone you love and make them experience Tasmania's most breathtaking adventure attraction! 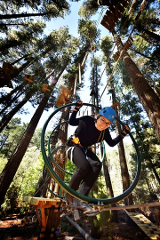 Glide across the treetops in this approx 2.5hr unique forest zipline tour, then check out our tree ropes course features over 70 obstacles.